Screenshot from Pillsy’s website, www.getpillsy.com. An estimated 50% of people don’t take their medicine as prescribed, according to a New York Times article, so if you’re reading this, there’s a good chance you’re one of them. I know first-hand it’s very easy to forget to take a pill. If you stay out later than expected or even if you just have a lot on your mind, you may not even notice you’ve skipped your dosage. With some medications even one missed dose can have dramatic consequences, and Pillsy wants to make sure you don’t take that chance. Pillsy is a combination of an app and pill container or pouch. You place the medication you need to take into their smart storage system, which syncs automatically with your phone or tablet if its nearby. You can use that app track your dosage, share your data, and monitor all your medications in one place. The system can tell when you’ve taken a pill and will remind you via your smartphone only if you forget. It also tracks when you’ve taken a pill in a diary, so you or someone else can refer to your medication-adherance history as needed. Pillsy is starting its foray into the medication-tracking market as a birth control tracker. You simply place your pack in the smart pouch, and the system knows once you’re taken that day’s pill. In addition to the diary feature, the birth control app will offer concise instructions on what to do if you happen to miss a pill (or two or three). Neither the birth control tracker nor the more broad tracker are out yet. 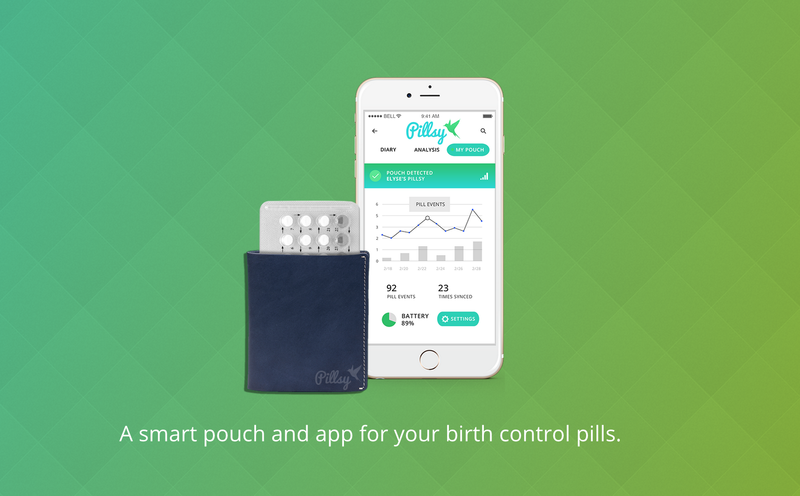 Pillsy is focusing on the birth control app and pouch first, and you can sign up as an early adopter on the BC pill’s website, www.getpillsy.com. You can also sign up to learn more info about their general pill tracker from their general website, www.pillsy.co. The Best Sleep Tracker Ever? I need this, I’m terrible with remembering pills. Me too! I have to set alarm reminders on my phone, and I’ve tried several apps that I just don’t like. This is the first system I’m actually excited about because it’s more than just an app. I hear the alarm and think I’ll do it in a little bit…usually a little bit comes and goes. Kinda like responding to emails.